When you work with a dramatic style like the English colonial look, it’s important to balance everything out with lots of natural light and space. 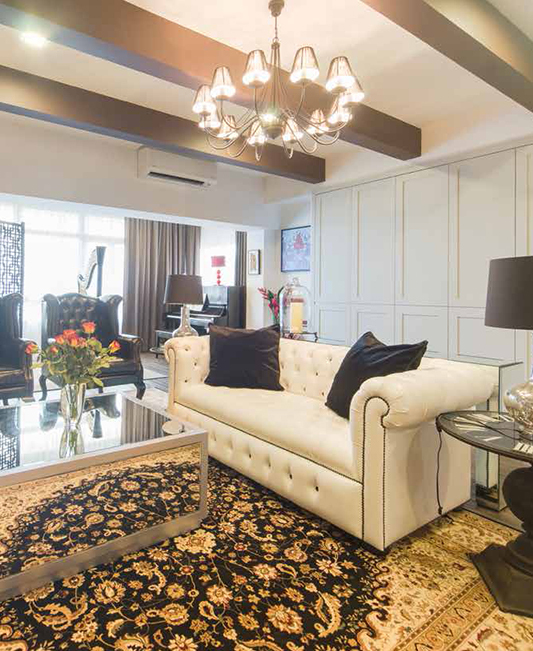 Marrying form and function beautifully in this 3-bedroom apartment, the D’ Initial designers wanted to replicate the beauty and sophistication of the colonial English style. Intricate details and bold design elements come together to result in an immaculate dwelling for the family of four. the balcony with the communal area.” Combining these two spaces also enhanced the flow of natural light, from the balcony windows into the living room.